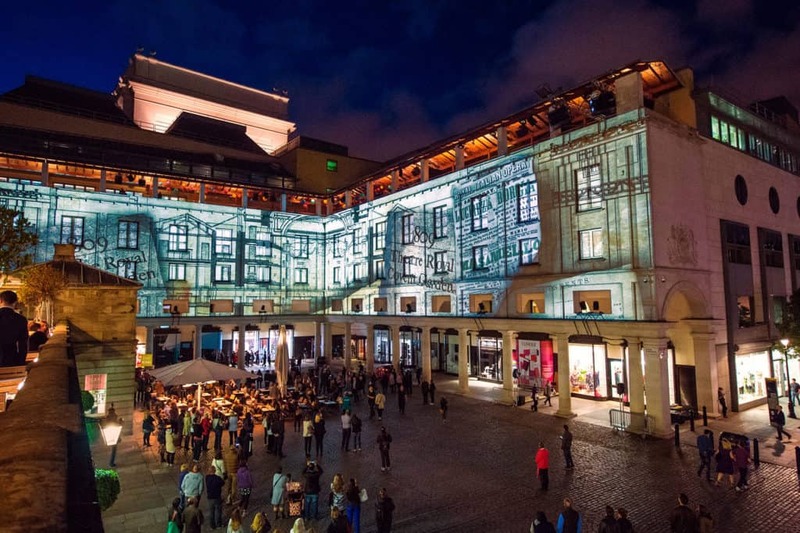 In 2015 the Royal Opera House invited 59 Productions to turn the facade of their world-famous Covent Garden theatre into a spectacular piece of visual art to mark the opening of the annual Deloitte Ignite Festival. 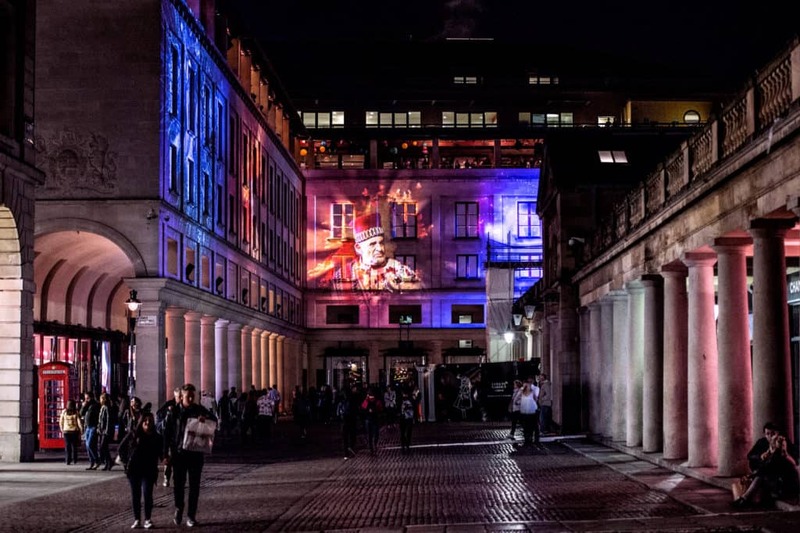 Through projection mapping technology, for three nights the full facade of the Royal Opera House became a vast canvas celebrating the building’s history from the 18th century to the present day, shining a spotlight on the rich world of creativity that flourishes here both on and off the stage. 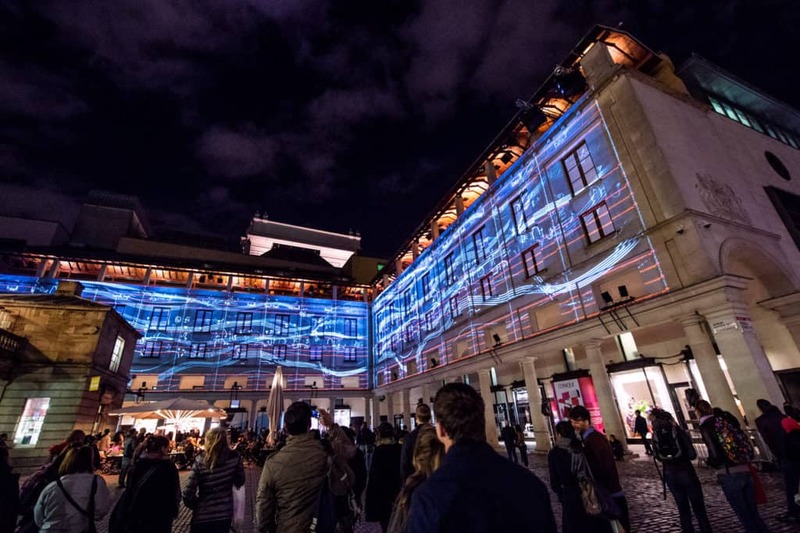 This extraordinary time-travelling tale was comprised of three short acts lasting a total of six minutes, weaving together bespoke projection-mapped animation and film footage. It was supported by a specially curated score which featured extracts of Alcina, composed for Handel’s first season at the Theatre Royal (as the Royal Opera House was then known), the Mad Hatter’s Tea Party from Alice’s Adventures in Wonderland by Joby Talbot and the Queen of the Night’s breathtaking ‘Der Hölle Rache’ from Mozart’s The Magic Flute. The result recognised both the storied history of the Opera House and its continued contribution to the development and expansion of the art form, through a technological showcase of the transformative power of opera.